It's spring time and also time for us to plant some new flowers and vegetables in our garden, as well as try to spruce up our yard a little. It's always fun to do some gardening with my family this time of year when the weather is perfect! You'll not find me in the garden often during summer time when it's really hot though. Nikolai and my hubby don't mind the hot weather and I'm only there to supervise them doing the gardening, lol. I am sure they are grateful they only have to do some planting and the removal of weeds from flower pots and they are not the ones mowing and cleaning the lawn, we have groundskeepers to do those tasks. 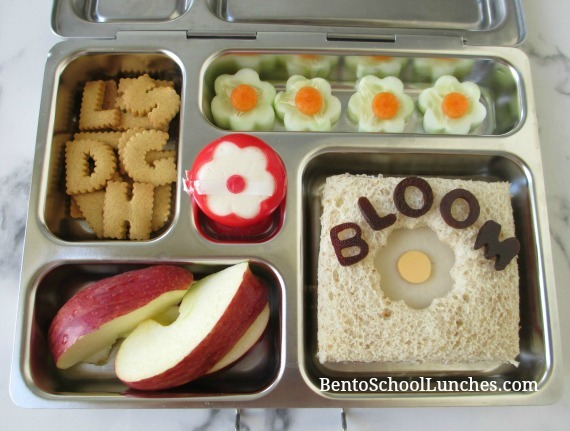 I've made flower themed lunches in the past and thought I'll make a couple this year. You can find my previous lunches HERE. Main compartment - I used a small flower cutter for the cut-out and added a cheese center which I cut with a circle cutter. The lettering was made from fruit leather using my alphabet cutter set. Upper left - Alphabet wheat cookies from Ikea. Center - Flower cut-out on a Babybel cheese for which I used the same small cookie cutter. 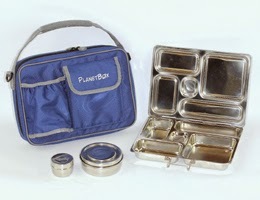 Upper right - Flower shaped cucumber slices with baby carrot slices for the center. Main compartment contains stamped flower shaped sandwiches, a couple of marshmallows and a Babybel cheese with flower cut-out. 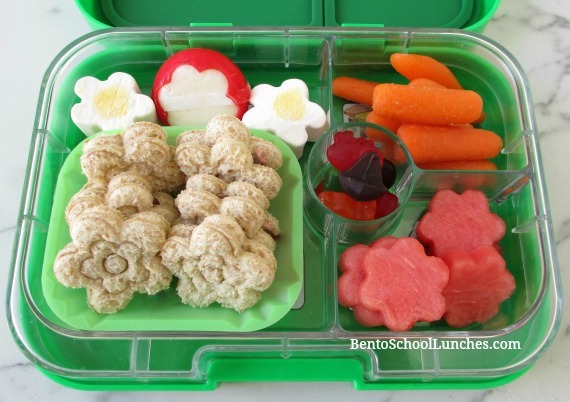 In the center are fruit snacks, top right are some organic baby carrots and bottom right are flower shaped watermelon slices. These are so pretty! I don't have a green thumb and the weather here is ridiculously humid year round, so I have to depend on gardeners to maintain my plants! How pretty! Me three, no green thumb too, only the really hardy plants survived, lol. Thank you Ming! Lol, you too don't have the green thumb, at least some plants survived!